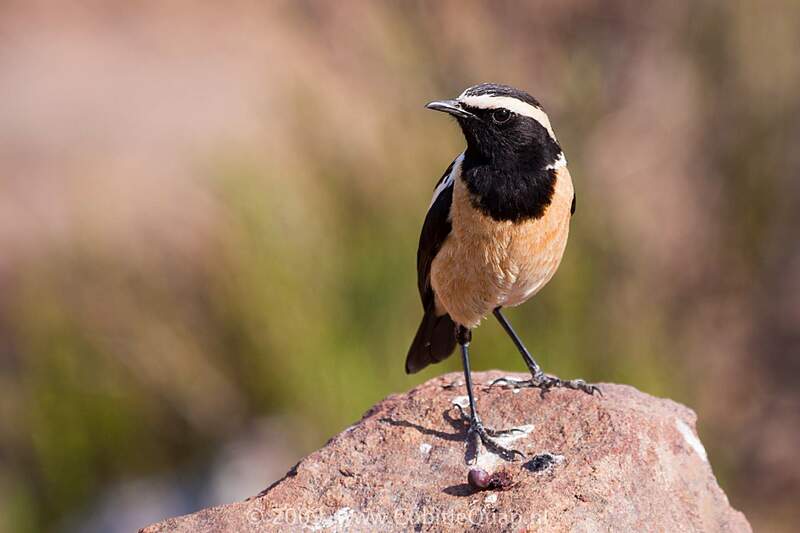 The male's black face, throat and wings and buffy underparts are diagnostic. The white eye-stripe extends down the side on the neck and into a characteritic 'V' on the mantle. 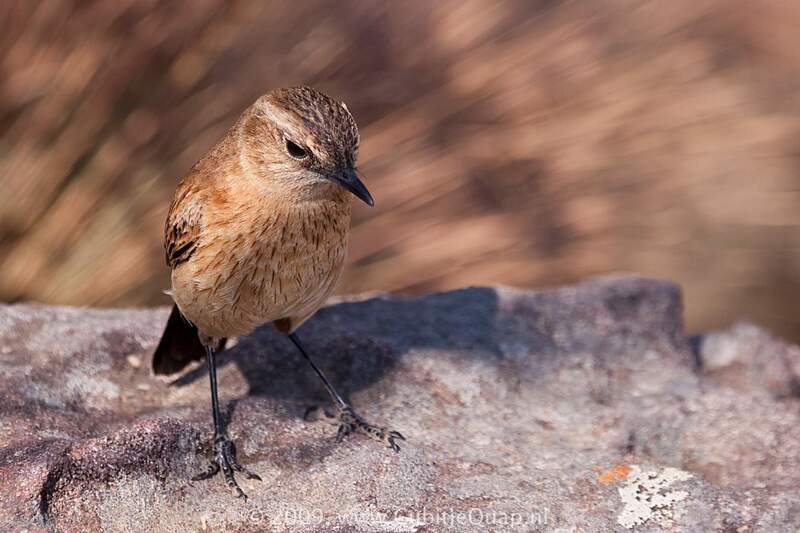 Female differs from juvenile Capped Wheatear in having a buff (not white) rump. 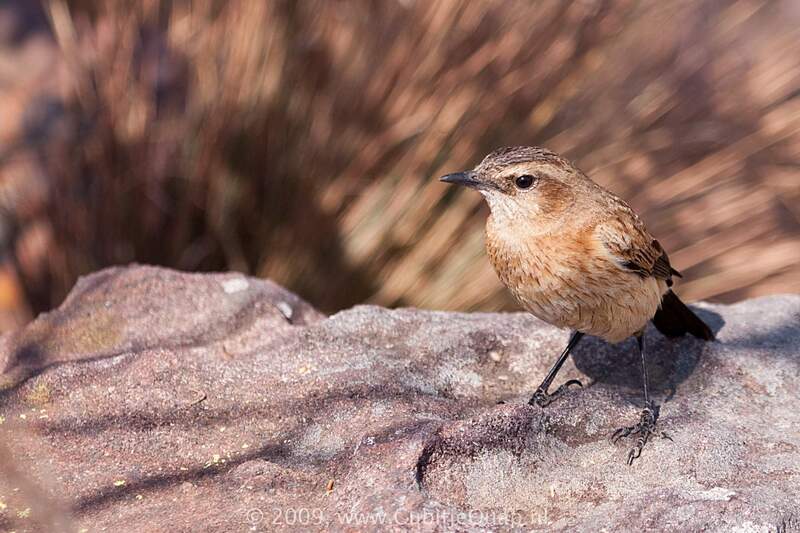 Juvenile is mottled with black and buff above and below, and has a rufous rump. 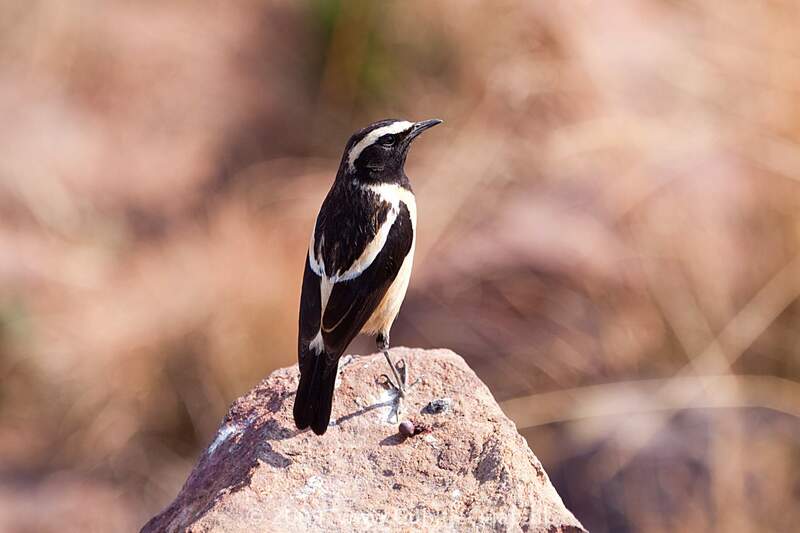 Loud, rich warbling, including mimicry of other birds' songs.